If I had a dollar for every time a Catholic with a blog wrote that the Pope is to blame for speaking unclearly when he is misinterpreted or if a Catholic with a blog accused him of handling things badly, I probably wouldn’t need to worry about how my retirement accounts are faring. It’s a popular meme, and it seems to give people an escape route where they might otherwise have to outright accuse the Pope of error (and I’d rake in even more money if I included those blogs who do accuse the Pope of error). It’s kind of annoying actually. If it was that easy for any Pope to explain Church teaching in such a way that no person from any time or culture could misunderstand it, then there’d quite frankly be no need for us Catholics who work with apologetics. What people seem to forget is all the differing experiences that make us look at things in different ways: Nationality, language, ethnicity, gender, education, social class, religion, political views, etc. Each one of these is a case where people can look at things differently than the speaker, and if we forget that these differences exist, then we will misunderstand the people we listen to. In addition to these, we have the problems when people don’t want to hear the teaching of the Church. Some political liberals don’t want to hear the Church teaching on sexual morality. Some political conservatives don’t want to hear the Church teaching on social justice. The result is to bend the words of the Church to either make it appear the person is obeying when he or she is not OR to bend the words of the Church in such a way that the person can justify disobedience. Finally, we have the case where even people of good will do not have a proper knowledge of the topic being discussed and give the wrong meaning to terms that can have more than one meaning (we call these equivocal words—open to more than one interpretation). So when you consider the differences of each individual, their knowledge of the topic and whether the individual has good will in interpreting the words of the Pope, you suddenly get any number of ways where the problem can be with the listener, and not the speaker. Let’s look further now. Let’s look at the post hoc fallacy now. That’s the fallacy which asserts that because A happened and then B happened, A must have caused B. Thus we see the Pope getting blamed every time a Catholic wrongly cites the Pope’s “who am I to judge?” comment. If the Pope didn’t say that, then people wouldn’t be thinking the teaching needed to be changed. But that’s nonsense. It overlooks the possibility of such people already favoring a heterodox view on homosexuality. The same thing happened with the extraordinary synod on the family. When certain Catholics came out calling for a change in Church teaching on divorce and remarriage, the Pope and the synod was blamed, but nobody considered the possibility that the Catholics holding these positions were doing so before the synod even occurred. 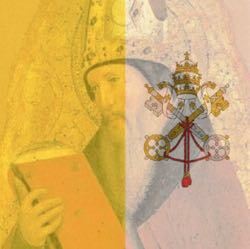 Therefore the Pope speaks unclearly (Therefore A). The problem is, just because “If A then B” is true (and it isn’t always so), the existence of condition B does not mean that condition A exists. People could misunderstand him if he spoke clearly in Latin while the audience did not understand that language. So, in addition to the cases of each individual, their knowledge of the topic and whether or not they are interpreting things with good will, we now have to consider the possibility of being misled by a logical error. So the next time the Pope says something and the media decides to play with it, then let’s look at things differently. Let’s not assume any miscommunication must be the fault of the Pope or there wouldn’t be any misunderstandings. There are any number of reasons this could be a false assertion. This is magnificently put together and well-spoken. Thank you so much. Seeing such passive-aggression coming from some Catholics in the blogosphere has been incredibly disheartening. Thank you - THANK YOU - for providing a voice of reason. Bless you. So happy to have stumbled onto your blog. <3 I also shared on my FB page. Thank you for your kind words. I am this article helped you. If you wish to follow this blog, I do have a Facebook page as well.